I can’t believe it’s time nearly half way through January, time is flying by and today I have the Look Incredible January Deluxe Beauty Box 2019 edit to show you. January is always a depressing month, and some beauty box subscriptions offer lacklustre boxes but not Look Incredible. Look Incredible are the best beauty box brand in my opinion as they never offer miniature sizes or samples, nor do they include unknown brands. 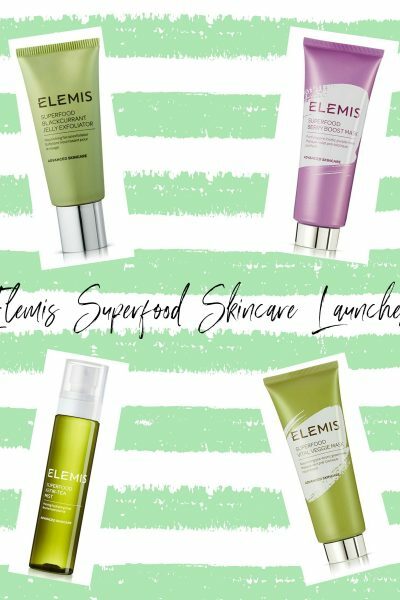 They have three different subscription services to choose from; the Standard Black Box which is £25, the Deluxe Box which is £35 and then the My Secret Box which is £65. The first product within the Look Incredible January Deluxe Beauty Box 2019 is the Too Faced Love Flush Long Lasting 16 Hour Blush worth £26 in the shade Your Love is King. 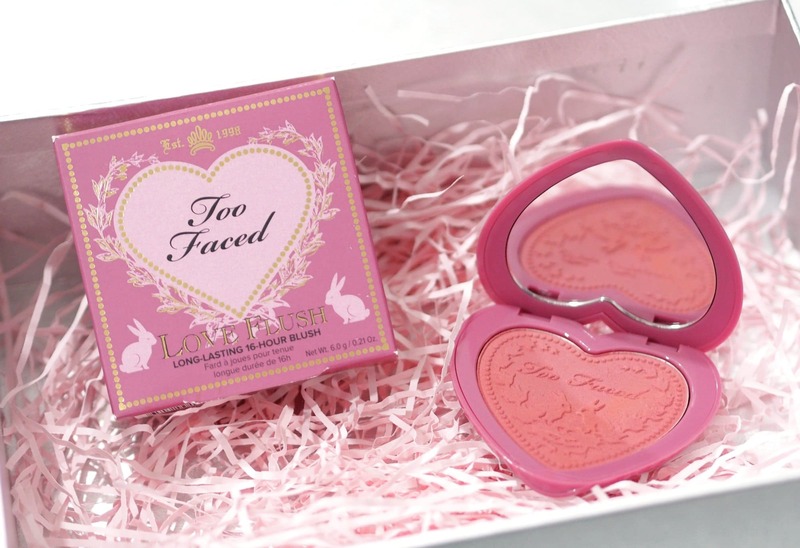 I love, love, love the Too Faced Love Flush Blushes, and I already own the full size shade in Funfetti as well as the Love Flush Palette which Too Faced launched as part of their holiday collection a few years ago. 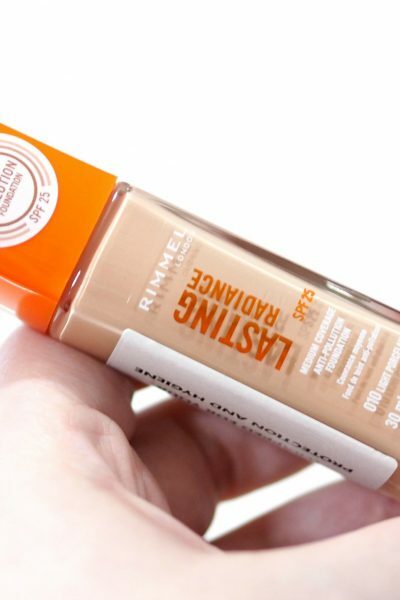 The formula is super long wearing, fade resistant and smudge resistant lasting upto 16 hours. The packaging is amazing and very Polly Pocket inspired with an heart shaped compact, and a patterned pan with adorable rabbits. This shade is a really pretty berry which is perfect for winter and it’s crazy that this blush is £26 yet the box is £35 for three more items. 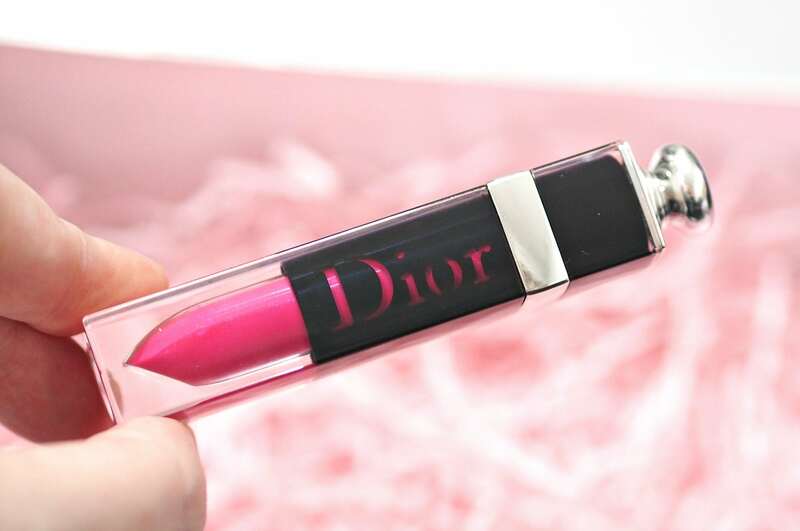 Next up is the DIOR Addict Lacquer Plump in the shade 676 DIOR Fever worth £28.50. I’ve seen so much about these liquid lipsticks but I’ve never tried them before. Described as being an hybrid between a lipstick and lipgloss, with an intense, long-wear colour, a unique shine and an incredibly comfortable, fine texture. How luxurious is this packaging?! The shade is the most vibrant, blue toned pink which borders on being neon but it’s the ultimate statement lip colour. There’s a great photo of the shade on the lips, on this fab blog if you want to see what it looks like but I’ve never seen such a beautiful, vibrant pink. 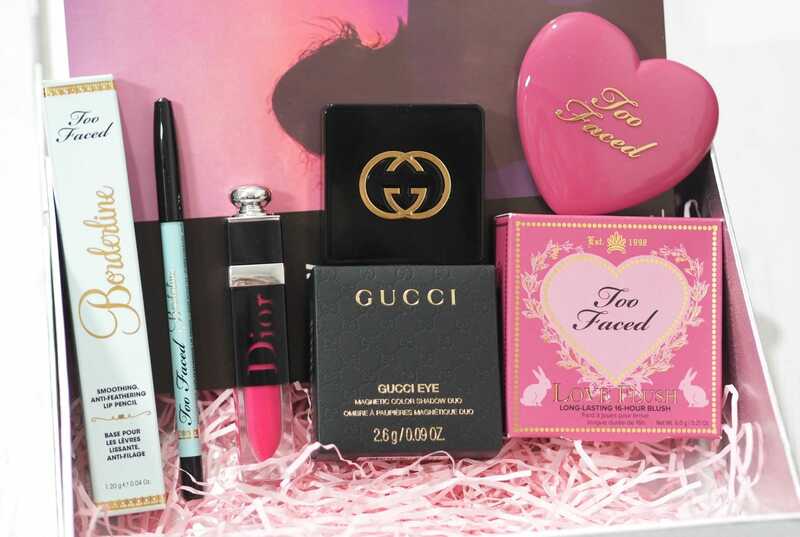 The next item in the Look Incredible January Deluxe Beauty Box 2019 edit is the second of two Too Faced products which always makes me happy as Too Faced is one of my favourite all time brands. 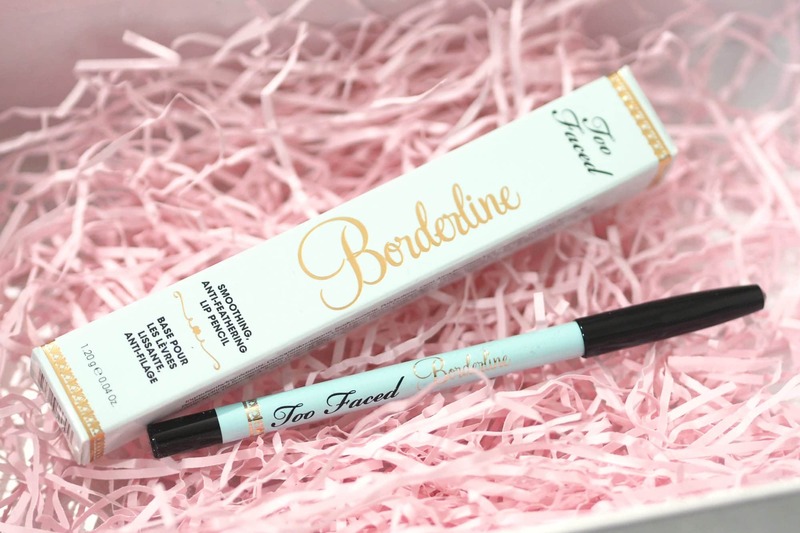 It’s the Too Faced Borderline Smoothing Anti Feathering Lip Pencil worth £15 which is a clear lip liner pencil that you can use with any lip colour to prevent feathering or bleeding out of the lip line. I’ve tried a few clear lip liners but never the Too Faced lip pencil, and it’s going to go so nicely with the vivid DIOR lip colour. The final item in the box is the from Gucci which always wows me as it’s such an highend, luxurious brand. It’s the Gucci Magnetic Color Shadow Duo in the shade Peacock 070 worth £38. 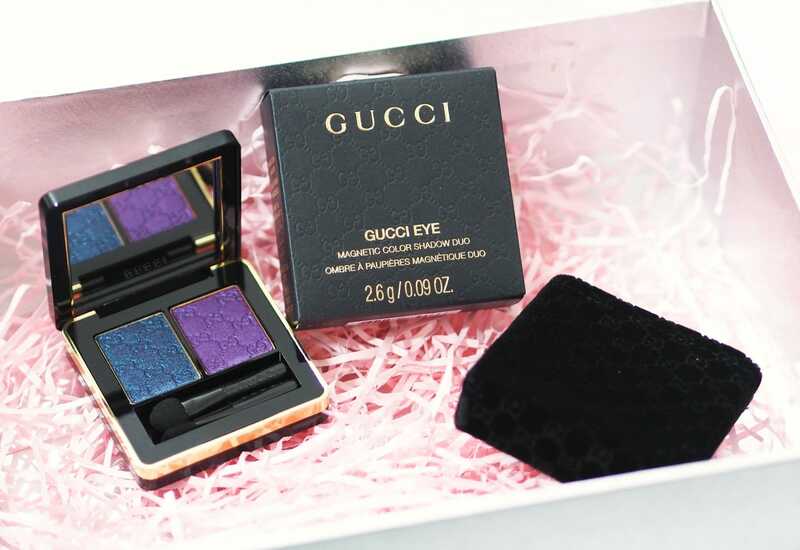 We have had one of the Gucci shadow duos in last January’s Deluxe box and I love it so I’m delighted to have another. Peacock contains a gorgeous royal blue and a dark purple which aren’t shades I’d wear together but they’re beautiful nonetheless and the luxe compact comes with its own Gucci branded velvet pouch. 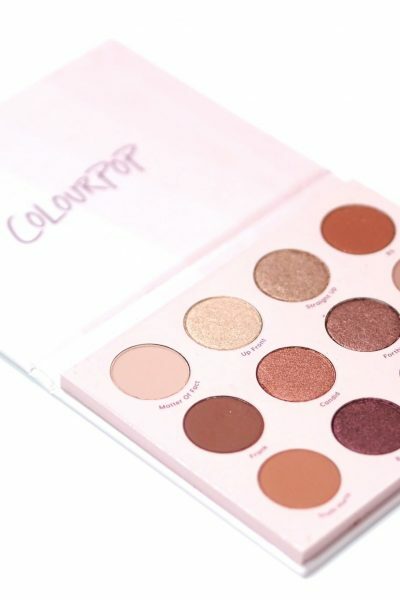 Just this eyeshadow duo alone is worth more than the price of the box which is why Look Incredible are smashing it right now. What is your favourite product within the Look Incredible January Deluxe Beauty Box 2019 edit?